Athens: Greek political leaders will announce a new coalition government on Wednesday, a government spokesman said, though there was no indication of a deal on a new prime minister to lead the country back from the brink of bankruptcy. In the past two days government sources have made a number of optimistic predictions about forming the government, which must secure a €130 billion ($180 billion) bailout from the euro zone, only for no deal to materialize. 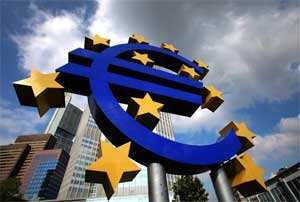 The socialist and conservative parties had wanted former European Central Bank (ECB) vice-president Lucas Papademos to lead the government of national unity, aiming to re-establish an international credibility that the politicians lost long ago. But sources in both parties said this was now in doubt and the two sides were looking at other options. “The Papademos candidacy has hit problems that have to do with both parties," one of the sources told the news agency on condition of anonymity. Some Greek media reported that Papademos had set conditions that the parties would not accept and others that there were objections from finance minister Evangelos Venizelos, because Papademos wanted to change the government’s economic team. Greek media have mentioned parliamentary speaker Filippos Petsalnikos and socialist lawmaker Apostolos Kaklamanis as alternative premiers, but both have denied the reports that they had been picked. The president of the European Court of Justice Vassilios Skouris was the latest name mentioned, with a source in the ruling socialist party telling the news agency on condition of anonymity that there was a deal on his name and that finance minister Venizelos would keep his post. The stakes could not be higher. Greece must have a new coalition to secure the bailout, negotiate the release of emergency funds from the European Union (EU) and International Monetary Fund (IMF) to avoid bankruptcy when big debt repayments come due next month, and safeguard its place in the euro zone. On the other hand, EU needs to put out the fire in Greece to prove to international financial markets that it can tackle another blaze in Italy, a far bigger economy also heading for economic and political crisis. To Vima news website expressed the exasperation felt by Greeks with all their political leaders, especially Papandreou and conservative opposition leader Antonis Samaras. The website evoked a national fear that Greece might lose its euro zone membership, and be cast adrift to survive alone with its old currency. “Despite its huge defeat, our political system won’t get serious at the time when the country is threatened with complete collapse, wavering between the euro and the drachma. Mr Papandreou and Mr Samaras agreed on Sunday on a government to save the country and are now doing whatever they can to undermine it before it even starts its work," it said. Adding to the confusion, conservative leader Samaras became embroiled in a dispute within his New Democracy party and a related row with EU. Party political sources said some New Democracy lawmakers were accusing Samaras of giving away too much, especially when he agreed to accept austerity measures in the bailout package. Samaras had long argued that the spending cuts, tax rises and job losses imposed by the outgoing socialist government under orders from the EU and IMF had deepened Greece’s crippling recession, now in its fourth year. A New Democracy party source refused to accept the party was the main problem, but acknowledged internal divisions since Samaras staged his U-turn on the package last week, helping to open the way for Sunday’s agreement in principle. “Parts of New Democracy are causing trouble. Many party officials around Samaras don’t like the way things are going," the source said on condition of anonymity. Under pressure from party dissidents, Samaras attacked the EU for demanding written undertakings from Greece that it would stand by its promises to implement the bailout package which euro zone leaders agreed last month. European economic and monetary affairs commissioner Olli Rehn made the demand, exasperated by Greece’s record of making promises on tackling its huge debt and budget deficit and then falling short of fulfilling them. Rehn singled out a decision by Papandreou last week to call a referendum on the bailout, a vote which might have seen Greeks reject the package because of the austerity measures tied to it. Papandreou backed down, but was forced into agreeing to make way for the unity coalition. Speaking in Brussels, Rehn said Greece had breached confidence with the EU by calling the referendum. Now Brussels needed undertakings to release even the next €8 billion instalment of funding for Greece under its original bailout package, pulled together last year. “This confidence needs to be mended," said Rehn. “Finance ministers of the euro area expect that there is... a written commitment, a written confirmation of the commitment of a broad-based government of national unity." A government source said the EU wanted Samaras to sign, along with the new prime minister, finance minister, central bank governor and outgoing Prime Minister George Papandreou. The New Democracy response was blunt. Samaras hinted in a statement he might give no written assurances because his spoken word was enough. “It’s a matter of national dignity ... I don’t allow anybody to doubt my statements," he said.